Soil Stabilization & Pavement Reclamation - Delmarva Site Development, Inc. Projects in the Mid-Atlantic region often run into problematic soil conditions that require remediation in order to provide a structurally sound surface for development. Chemical soil stabilization is often the preferred remediation method to reinforce yielding soils because it is quick and efficient. 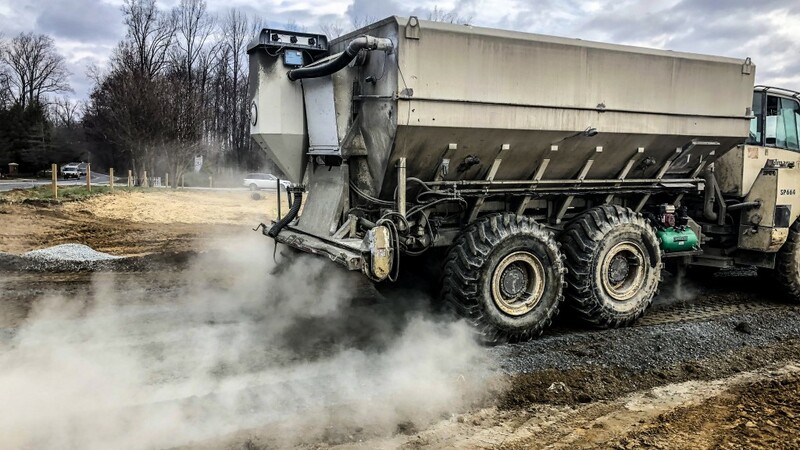 To that end, Delmarva employs three soil stabilization spreads which have placed over 25,000 tons of lime and cement since their inception to serve our clients.